This sauce is super creamy and has a great kick, but not overpoweringly so. It’s terrific when served alongside any Mexican meal, whether it be tacos, quesadillas, or burritos. If you’re using fresh jalapenos, you can leave a few of the seeds in for extra heat. 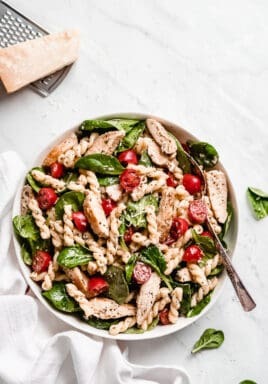 This sauce is super creamy and has a great kick! In a medium bowl, blend together all ingredients thoroughly. Allow the sauce to chill in the fridge for at least an hour, to let the flavors develop. Hey! Can we refrigerate the sauce and if we can for how long? It should last a few days. If you refrigerate it immediately and take out only what you use, I’d say up to 5 days or so. 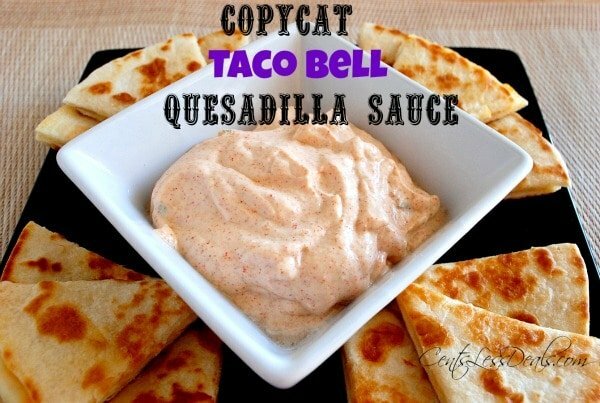 Found your recipe via googling for a copy cat of the Taco Bell quesadilla sauce. 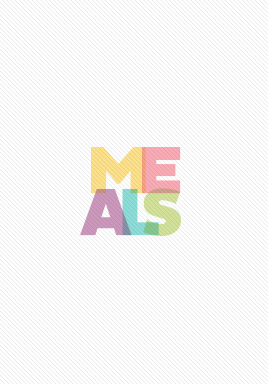 I love their steak quesadillas. Made the sauce. Spot on! Thanks! I’m sharing the recipe with friends who love it, too. So glad you loved it, thank you for sharing! I’m a bit of a spice wuss and this was WAY too hot for me. It had to have been the jalapeños, which were weirdly chunky in the sauce which is unlike Taco Bell’s. I tried mincing them finer to make a smoother sauce but it didn’t quite work out. My chopped jalapeños came from a jar and were without seeds and still too spicy for me. Again, I’m a spice wuss. This recipe was very close flavor-wise, just way too hot for me? Anyone have any suggestion or advice to tone down the heat? You can soak the jalapenos in water for a bit (30 minutes or so) to lose some of the spice. Also blend them in a food processor if you have one & that will eliminate the chunks. 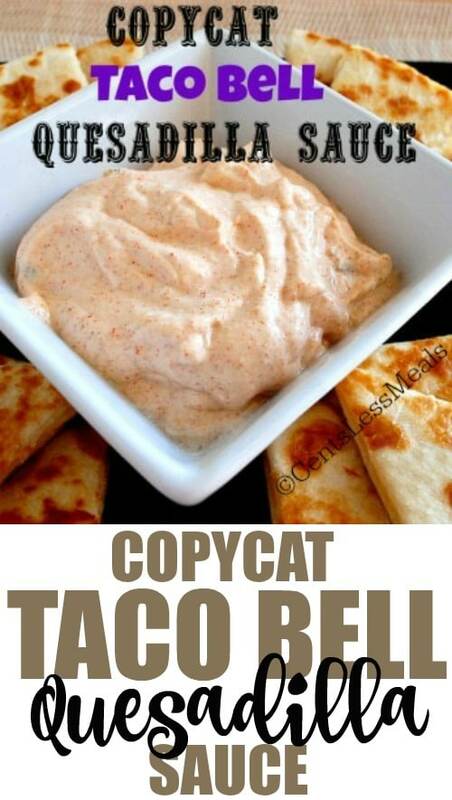 This is the best copycat recipe I have tried! I used smoked paprika instead of normal paprika (has a more smoked baconish flavor) but it was spot on!!! Thank you so much!!! So happy that you love it Chas! You’re welcome! Perfect! I have been making this at least every two weeks since I came across this site. I think my husband looks forward to steak nights just so that we can make quesadillas the next day with the leftover steak! The only thing I would say is that you definitely need to let it sit in the refrigerator overnight. An hour is not enough and it tastes completely different the next day! OMG I CANNOT WAIT TO TRY THIS!!!! I’ve been wondering what was in that sauce! So good! Enjoy Jenn! It’s so delicious! We had this today and the garlic was way over powering. Next time we’ll only do half of what recipe calls for garlic powder. Awesome sauce! How long do you think this could last in the fridge. I made extra and really dont know. Thanks for the great recipes. I tried this sauce last night and it is perfect! It tastes so close to the Taco Bell version. My husband and I ate way too much last night because we couldn’t get enough of that sauce. Yum!! This recipe definetly came close! The only thing I would have to say is add some more paprika and cumin, and also add a pinch of onion powder and sugar. If you want it extra spicy I wouldn’t add the jalapeño seeds- almost burned my tongue off on that one, and I love spicy! 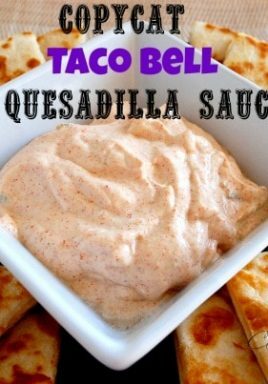 Fun new sauce to try, especially if you’re like me and can’t get enough of Taco Bell sauces!! Thanks! The sauce sounds delicious! What recipe did you use for the quesadillas?